I am a big boy (~230lbs) living on a mountain. My 1000 watt electric hub powered by 78 18630 Lion batteries in 13 cells barely moves me level let alone up a hill (which was its intended purpose). I tested its current to find it only pulling ~6.7 amps on a wheel stand. Times 48v only gives me just under 322 watts. Did I get ripped off? Is there something I am missing? Under the circumstances I'm considering removing the rim and spokes, attaching a cog and connecting it (centered in the frame) into the existing chain/de-railer system, directly. The motor controller is important - is that suitable for over 20A? Is your wiring? On a wheel stand there is not much resistence so the motor doesn't have to use much torque (current) to spin the wheel, so the power draw is that low. Your only way to test this is on a dyno or out in the field. Blast full power to the controller and mechanically restrict the motor to only go half the speed as it would go unrestricted - you are at max power then. The other thing is the power rating itself. The power quoted is input power and not the mechanical motor output. This is because the motor controller is an integral part of the system and runs as an inverter. To see how much power you can get onto the ground you need to use dyno again or you can get a datasheet of the motor and look up the efficiency curve. Cannibalising your wheel to make a chain drive will be significantly difficult. Getting a toothed wheel into the chainline and getting it to turn at a useful speed while maintaining chain tension. Depending on where you put the motor, you'll probably stop the front derailleur from switching between chainrings, because the top run of chain is under tension. Thinking about this, your hub motor will not work fixed to the frame without a complete redesign. That's because the power/control cables assume the axle is fixed and the body of the motor rotates with the wheel. In your case you want the body of the motor fixed to the frame, and have the axle turn. If you want to go this route, you need a motor designed for fixed mounting that drives its output shaft only. First, you need to measure the current at close-to-stall which is when electric motors draw the most current. Ideally, you’d have a dyno or rollers but with bikes wheel traction on the rollers can be a problem. So I’d try to stall the wheel with your brakes. Only do it in short spurts to not overheat the brake or hub or controller. Fake controller, real 1000 watt hub: You do have a good chance of burning out the MOSFETs of the controller if it’s a 350 watt controller labeled as a 1000 watt if your wheel can draw 20 amps. But you’d want to buy a new controller anyway. Fake hub and fake controller: you’ll only get 350 watts but if the controller is dodgy you might burn out the controller before the hub. Scenario #1 is your best case as a new controller would fix it. But if it were the case, the controller would have blown by now (or gone into thermal shutdown / self protect). Does your bike throw a code and die completely when it tries to take you up a hill? If not, then it’s incapable of doing so even with a new controller - it’s the hub. The most likely scenario is #2 or #3 which are both expensive. Note you can measure the winding resistance if you have a very good ohmmeter that can measure in the low ohm range (a crappy harbor freight won’t work). Your stator resistance should be around 2.4 ohms. 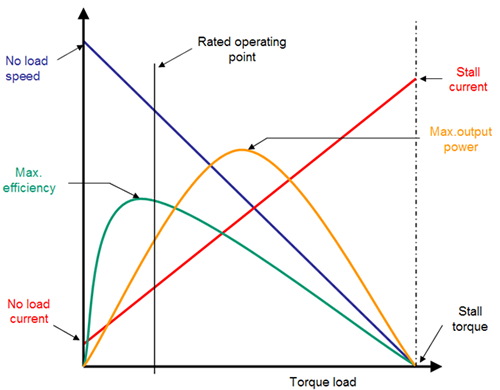 If your stator are measuring 6 ohms then your motor can only do 380 stall watts. But measuring low ohm resistance really does take a very good meter as a cheap meter will just be measuring itself or it’s own lead resistance.